A Gulley is a narrow footpath that runs between and behind properties (in Cardiff these are predominantly found around the older Council-built developments from 1930’s onwards). Gullies can be on private and/or Council Land and may or may not be classed as ‘adopted highways’. Access Gullies were generally created to provide side and rear access to specific groups of houses and may have one or more entrances on the same street, or be linked to a ‘through gulley’. Residents of properties adjoining the gulley may have a right of way through the gulley, and this right will be stated in their deeds. However, there is usually no wider public right of way. 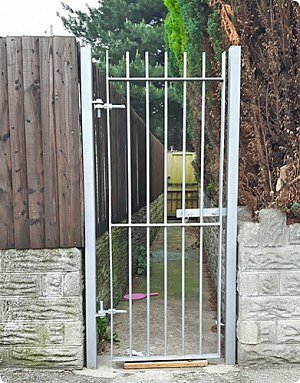 Access gullies that suffer high levels of crime and anti-social behaviour may be considered for closure or gating, in consultation with residents who have a specific right of way. The process would not require a wider public consultation. Through Gullies are also common in Cardiff. As well as access to properties, through Gullies are commonly used as shortcuts by the wider public to get from one street to another. Closure of a through gulley can be difficult, as it is necessary to consult with the wider public and any objections can halt the process. Where a through gulley is an adopted highway it is generally not possible to permanently close it. However, if there are high levels of crime and anti-social behaviour it may be feasible to place a Public Spaces Protection Order on the gulley and erect gulley gates.